Le sekiwake Takakeisho a rebondi après sa première défaite en s’imposant contre le komusubi Hokutofuji. Hokutofuji (1-3) s’est d’abord retrouvé au bord de l’anneau mais le komusubi s’est ressaisi. Après une tentative infructueuse, il a perdu l’équilibre et Takakeisho (3-1) a saisi l’occasion en le tirant. Ce dernier affrontera demain son camarade sekiwake Tamawashi. Le yokozuna Hakuhô se tient au sommet des cinq lutteurs invaincus accompagné par Goeido, Kotoshogiku, Ichinojo et Ishiura. Hakuhô a remporté son match du jour qui l’opposait à Daieisho (2-2). 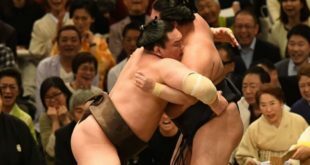 Daieisho a tenté de repousser le yokozuna au bord du dohyo mais les deux sont tombés. Le Mongol a tout de même pu garder son pied quelques instants de plus dans le cercle tandis que son adversaire chutait. 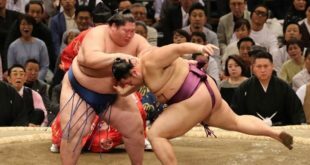 Kakuryu a remporté son troisième combat consécutif malgré une frayeur face à Myogiryu (2-2). Le favori de la ville, Goeido, est resté avec un score parfait en battant rapidement Kaisei (0-4). L’ôzeki Takayasu (3-1) a également remporté une victoire lors de cette quatrième journée en battant Endo, qui reste sans victoire. 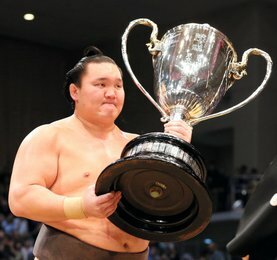 Takayasu tenta de prendre la ceinture de son adversaire, mais il a été incapable de s’assurer une prise. L’ôzeki a donc changé de technique et sortit Endo. 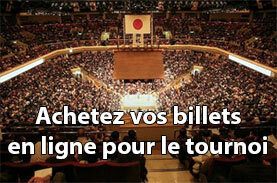 Tochinoshin (2-2) a démontré sa puissance en forçant Nishikigi à sortir. 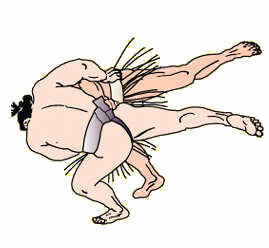 Dans un duel tout en force, les deux lutteurs se sont retrouvés au bord de l’anneau, et si Nishikigi a bien essayé de résister les pieds ancrés sur le rebord, Tochinoshin a obtenu le dernier mot. Le komusubi Mitakeumi a amélioré son score à 3-1 après avoir vaincu le champion de janvier Tamawashi (1-3). Mitakeumi a poussé le sekiwake mongol vers le bord, puis l’a fait sortir avec une charge surprise. Terutsuyoshi a obtenu sa première victoire en division makuuchi en devançant Meisei (2-2). Daishoho (2-2) et Tomokaze (2-2), deux nouveaux venus âgés de 24 ans en makuuchi, se sont affrontés pour la première fois dans la catégorie supérieure. La rencontre a tourné en faveur du Mongol Daishoho. Le talentueux Enho, qui appartient à la même écurie que Hakuhô, a subi sa première défaite contre Kotoeko (3-1). 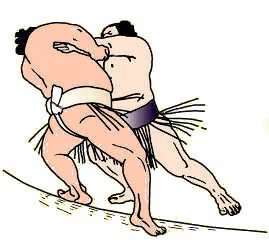 Sekiwake Takakeisho bounced back from his first loss of the Spring Grand Sumo Tournament with a win against komusubi Hokutofuji on Wednesday. The 22-year-old ozeki hopeful charged Hokutofuji (1-3) to the edge of the straw in the first bout of the day between highly-ranked wrestlers at Edion Arena Osaka, but the komusubi rallied back and held his ground. 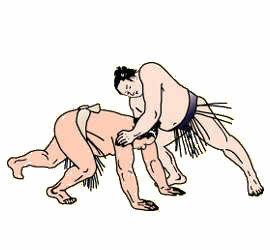 After a slap-down attempt from Hokutofuji failed, he lost his balance and Takakeisho (3-1) seized the chance, nimbly pulling his opponent down to the clay. He faces fellow sekiwake Tamawashi on Day 5. 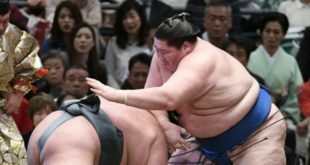 Yokozuna Hakuho stands atop five wrestlers who kept their perfect records on Day 4, including ozeki Goeido, former ozeki Kotoshogiku, No. 4 maegashira Ichinojo and No. 15 Ishiura. When Hakuho’s initial charge against No. 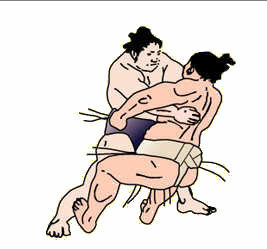 2 Daieisho (2-2) was fended off, the Mongolian grand champion navigated around his opponent for an opening. Daieisho tried to push the yokozuna out at the edge of the ring, but fell as Hakuho sidestepped and balanced himself on the straw, before leaping into the front row to the delight of fans. 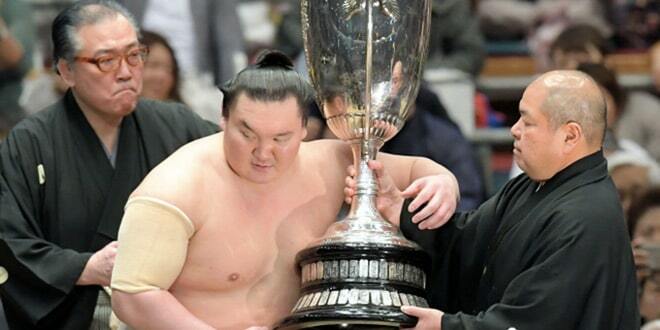 Fellow grand champion Kakuryu won his third straight bout, surviving a scare against No. 2 Myogiryu (2-2). 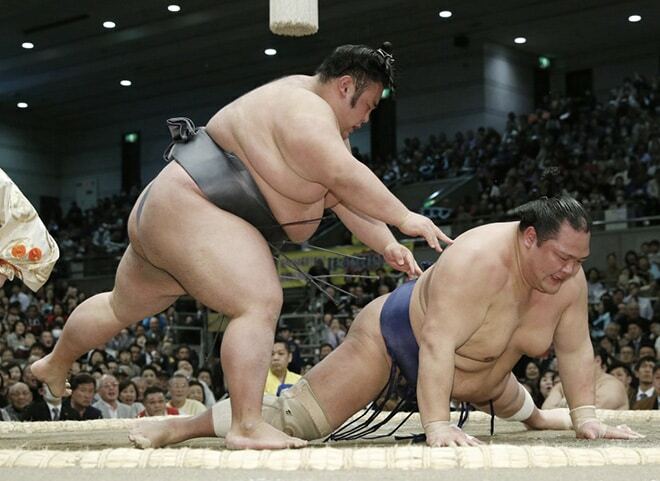 The yokozuna was initially driven back, but rallied for a push-out victory. Hometown favorite Goeido stayed perfect by making quick work of top-ranked maegashira Kaisei (0-4). 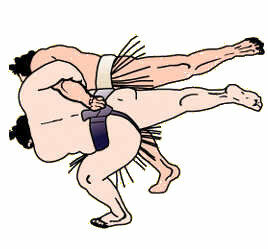 The native of Osaka’s Neyagawa city took Kaisei’s belt with a left-handed overarm grip and rotated the bulky Brazilian over the edge. 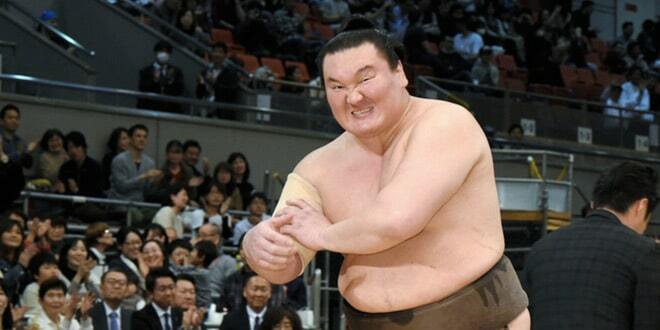 Ozeki Takayasu (3-1) also earned a win on Day 4 by beating winless No. 1 Endo. 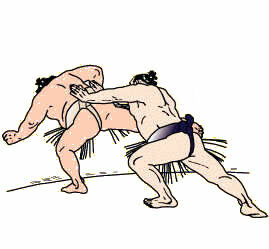 The wrestlers came into the bout having split their previous fourteen matches. Takayasu attempted to get a belt hold on the fan favorite, but after being unable to secure a grip, he switched gears and steamrolled Endo out. 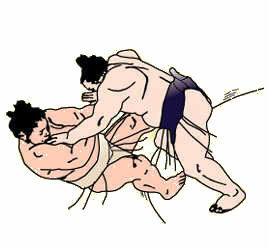 Demotion-threated Tochinoshin (2-2), the first ozeki to win on Wednesday, demonstrated his power by hoisting No. 3 Nishikigi out to his fourth loss. 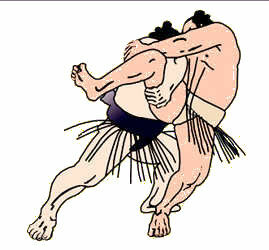 In a test of strength, both wrestlers grabbed early belt holds as each attempted to wrangle the other out of the ring. 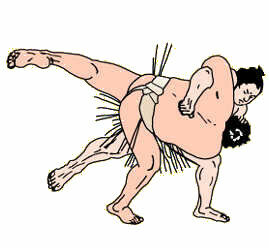 With Nishikigi teetering on the straw, Tochinoshin revved his engine and powered his 175-kilogram opponent out. Komusubi Mitakeumi improved to 3-1 after defeating January’s champion Tamawashi (1-3). 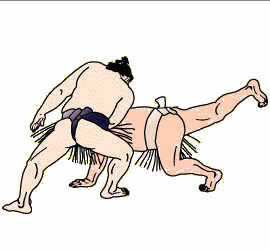 Mitakeumi inched the Mongolian sekiwake towards the edge of the ring, then shoved him out with a surprise charge. Among the rank-and-file, Terutsuyoshi got his first win in the top division by out-maneuvering No. 11 Meisei (2-2). The No. 14 maegeshira, who made his professional debut nine years ago, skillfully denied Meisei an arm hold, then spun his opponent around and pushed him out for the maiden victory. Fellow 24-year-old makuuchi debutants Daishoho (2-2) and Tomokaze (2-2) faced each other for the first time in the top tier, with the Mongolian native Daishoho coming out on top. The newcomers had both earned their first wins earlier in the meet. Up-and-coming juryo division talent Enho, who belongs to the same stable as Hakuho, suffered his first loss of the tournament in a brief top flight appearance against No. 15 Kotoeko (3-1). 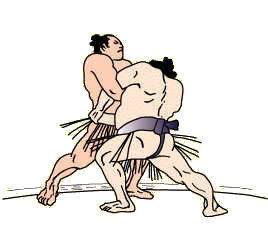 The 100-kilogram Enho held back the maegashira as he dug in low and close, but was eventually flung to the clay by his heavier opponent with an overarm throw.